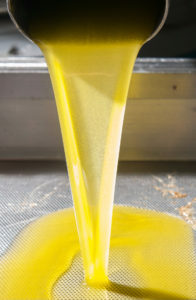 Home / Blog / Olive Oil & Plant Uses / Is your Olive Oil Fake? A recent study discovered that up to 70% of all olive oil sold in the United States is not genuine, but instead is supplemented with other oils like sunflower or canola oils, making it fake olive oil. This allows manufacturers to charge full price for what consumers believe to be pure olive oil but is actually fake olive oil. At My Olive Tree we are appalled at this disclosure. Not only is it completely corrupt, but it also creates a bad reputation for the rest of us who do provide high-quality extra virgin olive oil products. Extra virgin olive oil (EVOO) is specifically regarded as one of the healthiest foods in the human diet. It has been proven that countries that consume higher amounts of this amazing oil experience overall better health. However, Americans on average suffer from obesity and overeating… but is it no wonder, when food manufacturers continue to lace ‘health’ products with ingredients that are not. Was it not just a few years back, when police officers in Italy were forced to put a stop to a major underground job doing this very same thing? ‘Operation Golden Oil’ ended by seizing 85 oil farms across the country that, after testing, were proved to have added certain percentages of chlorophyll to both sunflower and canola oils to both sell and export the fake olive oil as an olive product. Steps were taken to push this scam further by mixing colorant, perfumes and olive flavors to the corrupted oils. This created a mass investigation, revealing devastating results across the globe. The Austrian government then refused to award the 2012 pure olive oil certification to those brands who were convicted of these crimes. Following this scandal the University of California chose to do their own study of 124 imported brands of EVOO, and sadly discovered that most of these labels did not pass the test. My Olive Tree so believes in the quality of our product that we want to share a test that can be done at home. We guarantee that our EVOO is 100% pure olive oil made in Israel, and that the first cold press is made on the original day of harvest. However, if you’d like to put us to the test, place our EVOO in the fridge for half an hour. It will begin to solidify, meaning that the oil is pure because it contains large amounts of monounsaturated fats. We are firm believers in creating high-quality products that nurture the whole family—body, soul and spirit. We believe that it’s time to put a stop to those in the industry who choose to use chemical additives, GMOs, or any other unhealthy alternatives in creating fake olive oil. At My Olive Tree we take it another step further… We not only believe in providing great products to consumers like yourself, but we believe that the entire process, from planting our trees as saplings to taking the steps over seven years to provide for our groves, is of the utmost importance. Our groves provide jobs for those who need work, plus the proceeds from our olive tree products are then returned in the form of humanitarian aid to foster children, Holocaust Survivors, and needy soldier’s families living within the nation of Israel. To My Olive Tree the process of harvesting olive oil is so much more than just producing a brand name EVOO… it is all about creating a clean product that makes a difference in the lives of those around the earth who eat of its fruits. If you would like to learn more about how you can support the My Olive Tree mission, please join us [HERE]. Or if you would like to order a bottle of our finest extra virgin olive oil, please join us at our store [HERE].